Many concerned physician colleagues have recently contacted me after attending a promotional event for an amniotic stem cell clinic where a chiropractic group or an organization that uses physician extenders such as nurse practitioners or PA’s to inject patients was selling amniotic stem cell treatments. They have good reason to be concerned. If amniotic stem cells were truly the magic they are advertised to be, we would be interested in these products ourselves; however, when we did the research, we discovered one little problem with this advertising. 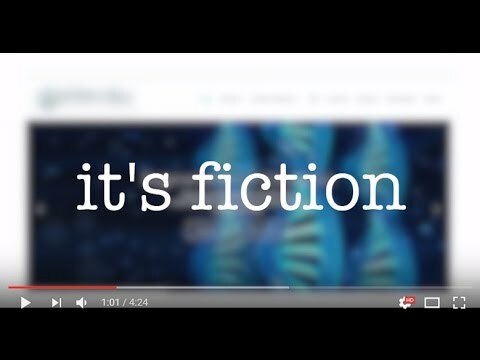 It’s fiction! Let me explain. Using sophisticated equipment (seen in the video above), the IOF found no living cells. Despite clinics advertising that these amniotic preps have live cells, the cells were dead! Also, these products didn’t help old cells perform better, nor did they have more growth factors than a simple and inexpensive PRP shot. While many claim that these products are safe given the fact that they have been used a long time in other indication, we don’t know if they’re safe to inject into the knee, shoulder, or hip. To date, there hasn’t been an extensive study ever performed or published showing the safety of amniotic stem cell injections in orthopedic applications. Think about that. Not a single study! Patients are paying thousands of dollars for injections of dead cells, and, we don’t even know if this stuff is safe! In fact, they’re not even indicated in their FDA registration for that use. If amniotic products had turned out to have viable stem cells, believe me, Regenexx would be their biggest client, but my mother once said if it sounds too good to be true, it isn’t true. Things like this amniotic product deception are why we spend so much money studying things. At Regenexx, for example, we have followed the long-term safety of our bone marrow stem cell procedure through a nonprofit registry. We’ve tracked 2,372 patients with 3,000 procedures out to nine years. Now that you know to stay away from clinics telling you that the amniotic products they inject have stem cells, let’s talk about making sure your stem cell clinic is properly set up to do orthopedic injections. Why? One of the trends we’ve been seeing is that practice management companies are sending nurse practitioners or physician assistants to chiropractic or acupuncture offices to inject patients. Getting a stem cell procedure done in those settings isn’t the same as getting it done in an office or procedure suite that’s set up to do stem cell injections. There are a few things at a minimum that your stem cell clinic should have. Musculoskeletal ultrasound equipment is designed to make sure cells the doctor places stem cells in relevant parts of the musculoskeletal system. Surgical monitoring equipment measures your vital signs during your procedure to make sure you’re doing well. Advanced fluoroscopy allows us to image your spine and place the injection in particular areas of joints like the knee, hip, or shoulder. Oxygen is imperative in many emergency situations. Oxygen is not something you’re going to see in a chiropractor’s or acupuncturist’s office. Having an automated defibrillator and a crash cart available is critical, as it assures us that we can handle any and all emergencies. Not only is it important to have the right equipment, but it’s also important to have doctors who know how to use the equipment should something go wrong. In a chiropractor’s or an acupuncturist’s office, it is unlikely that a crash cart is available or that there is a medical professional who knows what to do if something goes wrong. The upshot? Now that you know that amniotic “stem cells” are one big great deception, you understand a little something about any medical provider who bought the little white lie that the medical sales rep was pitching. Make sure your stem cell clinic is using actual stem cells and the proper equipment to place them. Make sure there is emergency equipment available and your procedure is being performed by a skilled medical professional. It’s important to also note that amniotic stem cells may also be marketed under other names, such as “placental stem cells” or “amniotic stem cell factors.” We’ve also seen them called “fetal stem cells.” So buyer beware! Do you do any Regennex procedure on eyes? My dad has had a amniotic stem cell film put on his one good eye to help level out the bumps in his eye, as his doctor has said that was causing his blurred vision. It hasnt helped. He is blind in the other eye as he had a cornea transplant that didnt work. He is 87 and afraid of losing the vision he has left. The original diagnosis was dry eyes. Gosh, did they try drops first? Wish we could help, but our practice uses stem cells exclusively for Interventional Orthopedic applications. A good place to look for information is PubMed, or the various eye foundations. With a cursory look, it appears most of the research has been with limbal stem cells to repair the cornea. Why are you not using a platform for stem cells to grow on in the knees like John Hopkins did in 2012-13 with a study on 18 patients using a bone graft material from Biomet that was bought out by Zimmer. Half of the patients received just stem cells & the other half had bone graft material and in 6 months the graft material & stem cells produced stronger cartilage than just stem cells alone. MIT had a similar study using grafting seeds. Is it because of FDA regulations? Does your Cayman Island location use these procedures? And why have these studies been abandoned ? I believe that in 5-6 yrs. these procedures will be the norm. As you know, we offer culture expanded stem cells in our Grand Cayman facility. There is no FDA approved biologic cartilage scaffold as you mention. This is largely due to the fact that the agency classifies these products not as devices (which is the focus of the companies mentioned), but as biologic drugs that require full drug type approval. These device companies are used to spending several hundred to perhaps a million dollars to get a device approved, but a drug requires about 100-300M USD to get approved, hence likely the reason these projects were abandoned.